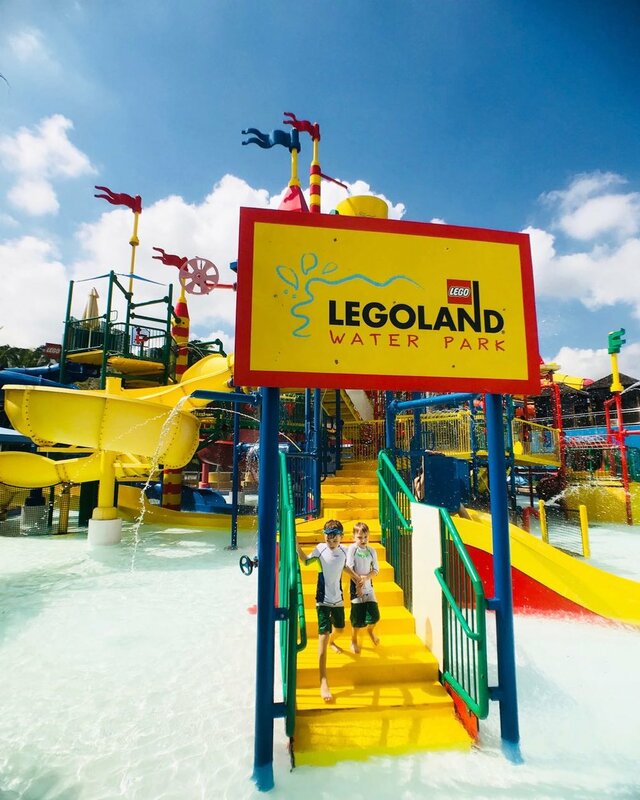 Legoland is an enchanting place where kids rule! The extraordinary theme park is a demonstration of what is possible at the intersection of precision engineering and child-like imagination. Lego has created a wonder of an experience. It follows the brand's initiative of strengthening imagination and creativity in children, but this time through larger than life experiences. Lego Lego Everywhere and For Everyone! One of our favorite parts of the whole experience of Legoland was that Lego is everywhere! Here you see Lego kids jumping the fence to enter the park and a Lego car. 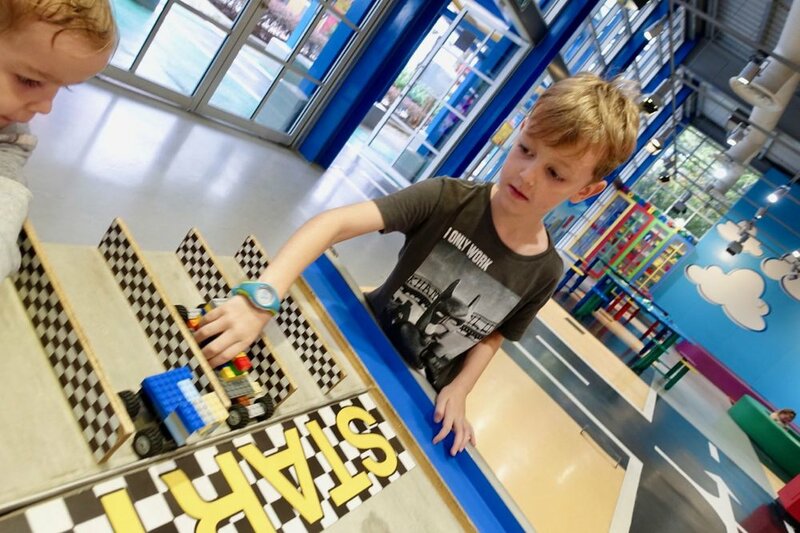 At Legoland Malaysia kids of all ages rule, there is something for everyone. There are unique activities for kids at every age. If we had a pie chart of our time at Legoland this would be the biggest piece of the pie, Build and Test. Let your children design their own race car using the pieces provided and then race on an actual track. Bonus: there is a real timer on the track so you can see how fast your cars go! Another bonus: it is air conditioned and they even have phone lockers to charge your phone while waiting. Trips don't always go as planned and our little one had a short case of an upset stomach and soiled all his clothes with spit-up. Lucky for us it was a hot day and he spent most of his time at the park in this wardrobe made of underpants and a sweater. You do what you can. While big brother explored Lego Academy and Mindstorms (robots and Lego education) these two were kept busy for over an hour. They got completely wet but, again, it was a hot day and we tried one of the drying machines. The drying machines weren't that effective but I was curious. I also managed to eat lunch while they played and got a great chicken and rice from Asian Deli. The soy chicken I devoured while the kids played in the splash pad. 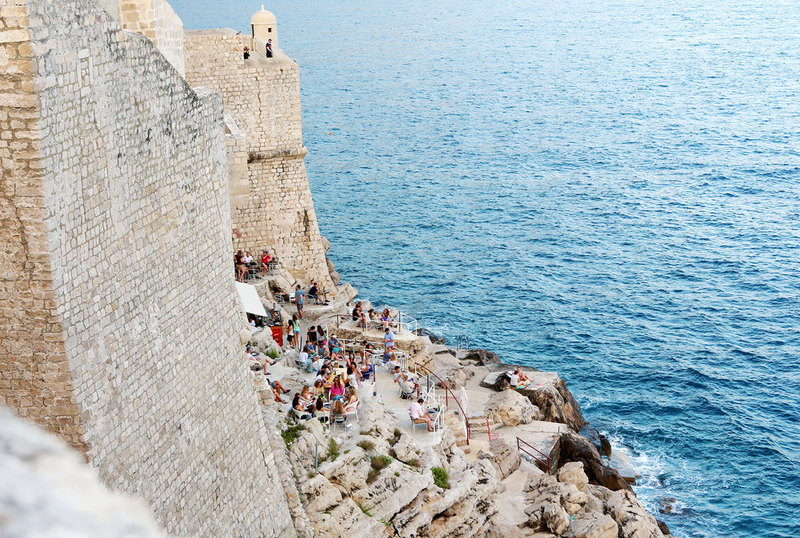 Have you conquered the dragon? We did! Amazingly, the two older boys and myself were able to conquer the dragon. This classic rollercoaster was thrilling but not overly scary. Again, kids of all ages rule here so we followed the big kid ride with Dragons Apprentince, Merlins Challenge, The Royal Joust and The Forestmens Hideout. This attraction completely blew our minds. After watching a short Lego Star Wars intro we were overcome with The Force as we visited each Lego Star Wars scene. The details were top notch and almost every diorama had an activation button that caused them to move, play music, or some combination thereof. I personally think this is the most underrated exhibit of the whole park. 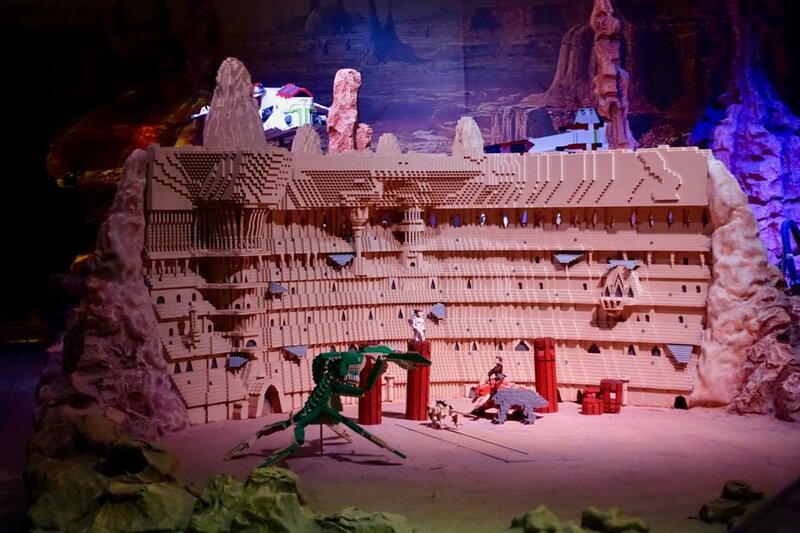 The detailed work involved to create Miniland is remarkable. Each different world is truly unique and filled with so many details you must stop and take it all in. Promise me you will! Secret: There is even one for the Philippines! Legoland is sprinkled with play places and parks. This was fun but is better for a cooler day as it had the least covered area, still very enjoyable though. Right across from The Shipyard is The Market which had a delicious Nasi Lemak, the national dish of Malaysia. 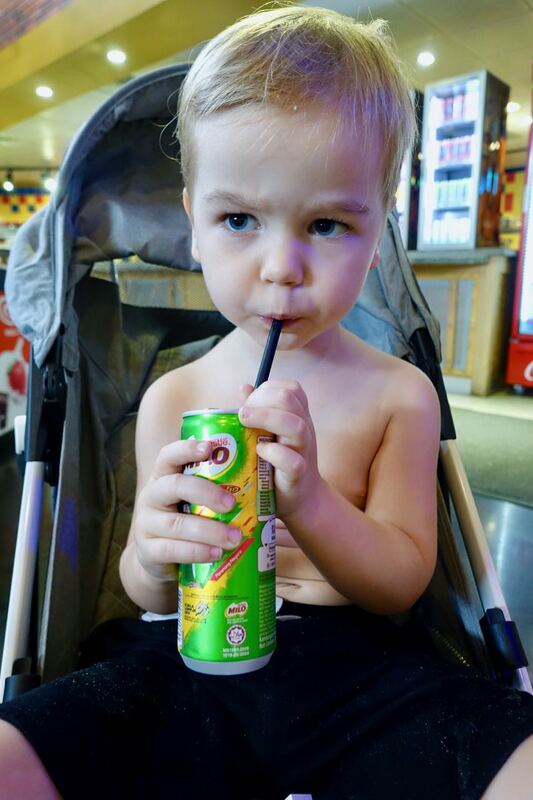 It also has popsicles and ice cold Milo. Win! He was sick for a few hours at beginning of our visit but nothing a little Milo couldn't help. I loved these tabs on the Milo cans! Right after we finished Lost Kingdom Adventure we were caught in a massive downpour for 45 minutes. Luckily for us, we were in Legoland and hopped over to a covered play area, Pharoah's Revenge. I noticed at the line for Lost Kingdom they had tables full of Duplo to keep children occupied while waiting in line. They have thought of everything! Lego Ninjago World is one of the smaller areas in the park but we spent a large chunk of time here. The Ninjago ride was one of our favorites because we could all sit together. I survived this trip mainly because of our travel stroller. My husband was away on a work trip so it was me, the boys and the Looping Squizz travel stroller. Make sure you pack a rain cover too. 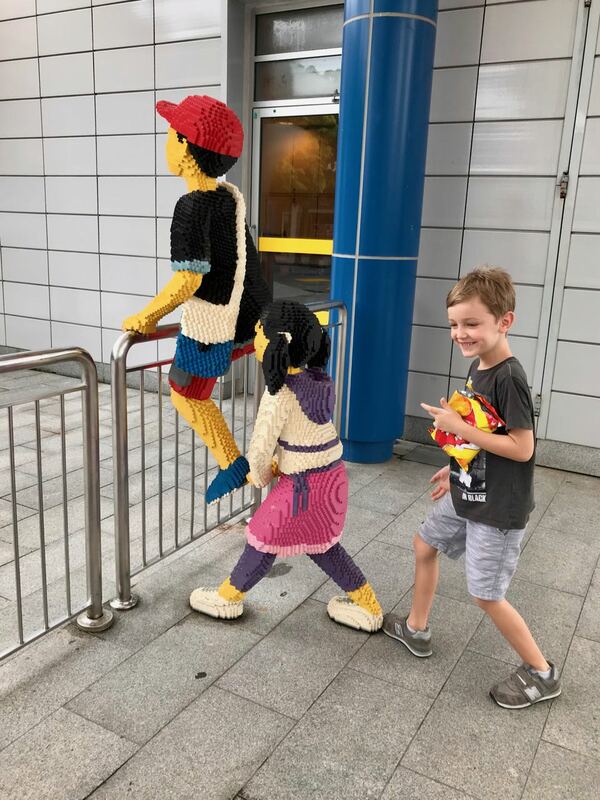 As a mom I noticed many thoughtful details Legoland included (back to the precision of an engineer but imagination of a child). Most cues at Legoland were accompanied with waiting game activities. This was the creation station next to the queue for the Ninjago ride. These people waited out the storm inside building! In comparison the Lego store prices at the park were 20-40% cheaper than what we see locally in Manila. 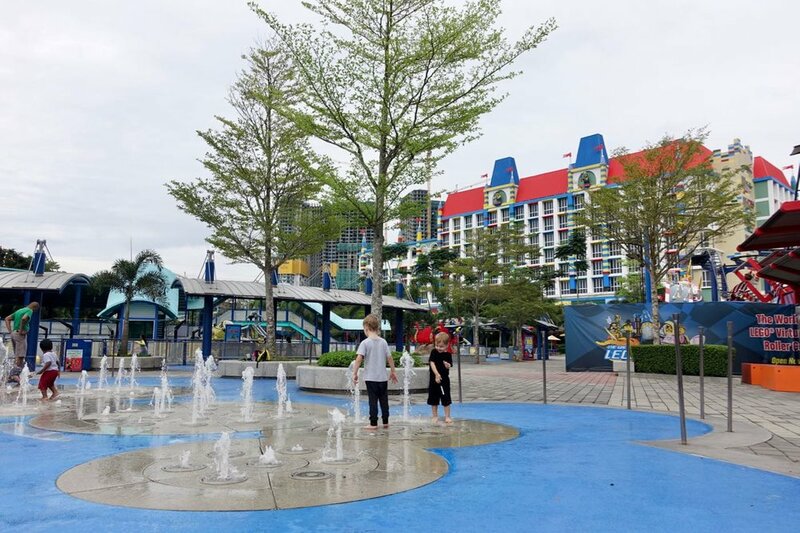 There are shops at all main attractions, at the entrance/exit of the park, Legoland Waterpark and at the Legoland Hotel. Each attraction carries the specific play systems for their attraction. These toilet signs made me giggle. We were visiting a friend in Kuala Lumpar so we took the Lego bus straight from KL to Johor Bahru. It was around $15 USD per person for a round trip ticket and definitely worth it. The bus was cool and comfortable. The bus driver and the assistant were not warm or friendly and strictly no eating on the bus and only one bathroom break. This is quite difficult for a mom traveling with three small children so plan accordingly. 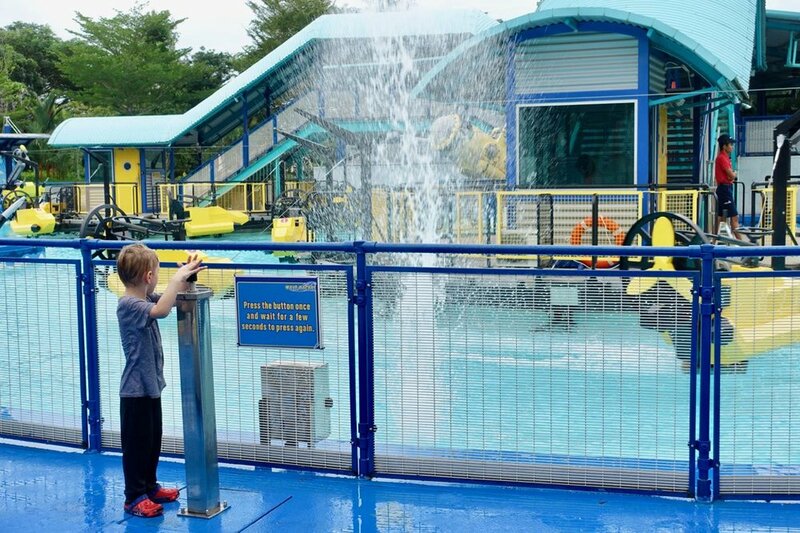 We spent a morning at the Legoland Waterpark and I am fan! If you have water babies like me then I absolutely recommend spending a day here as well. Read our full experience here. 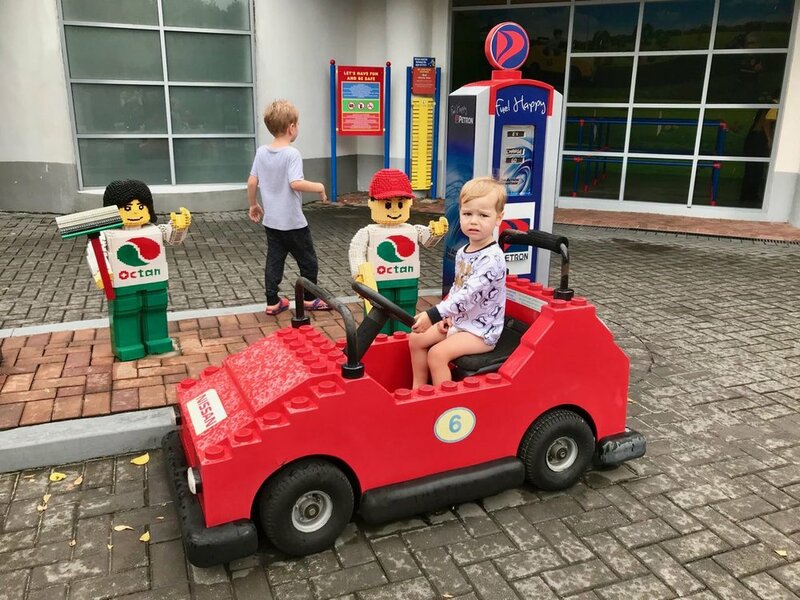 I cannot recommend the Legoland Hotel enough, it is a full experience on its own! A definite must! You can read our whole experience here. Living in the Philippines I see many friends visit other theme parks in Asia that carry a heavy cost for plane tickets and entrance. 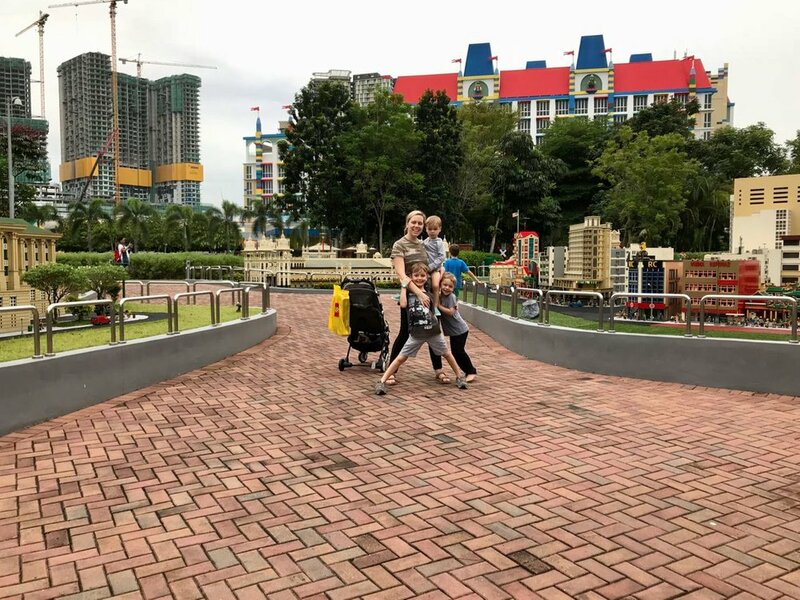 Legoland Malaysia was easy and affordable to get to and perfect for families with children (or anyone who is a brick lover!) After our visit, I am convinced that maybe we really are amusement park people! This was our first theme park and I believe we had such a good first experience because it was at Legoland Malaysia. The park is on the smaller side making it easy to navigate with small children. It is affordable, has delicious food, plus rides and attractions for all ages! As a family we are already scheming when we can return again and share our experience with dad (who was sadly on a work trip!). 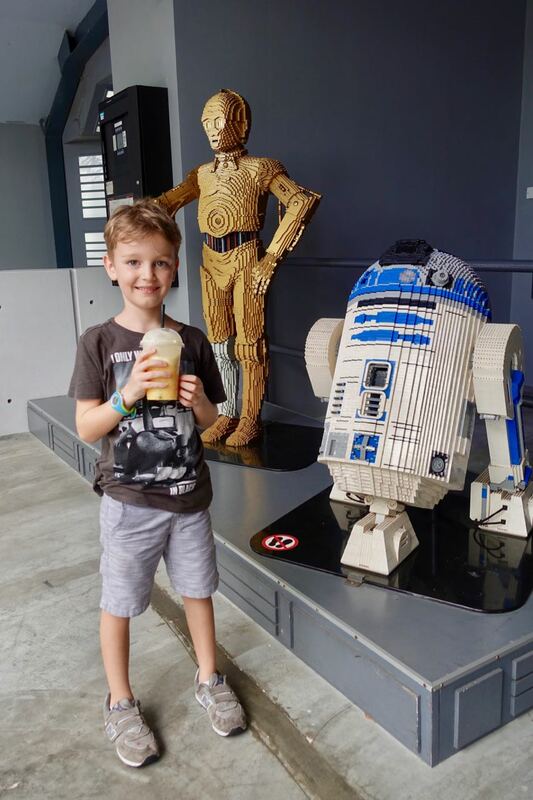 Legoland, you are one of a kind! 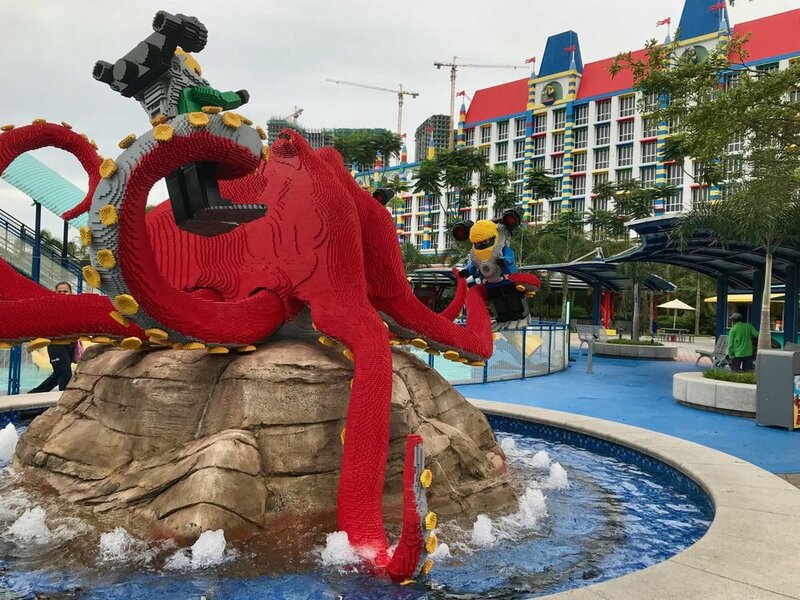 We spent two full days at Legoland Main park and Legoland Waterpark and I could have easily spent a full day in addition. 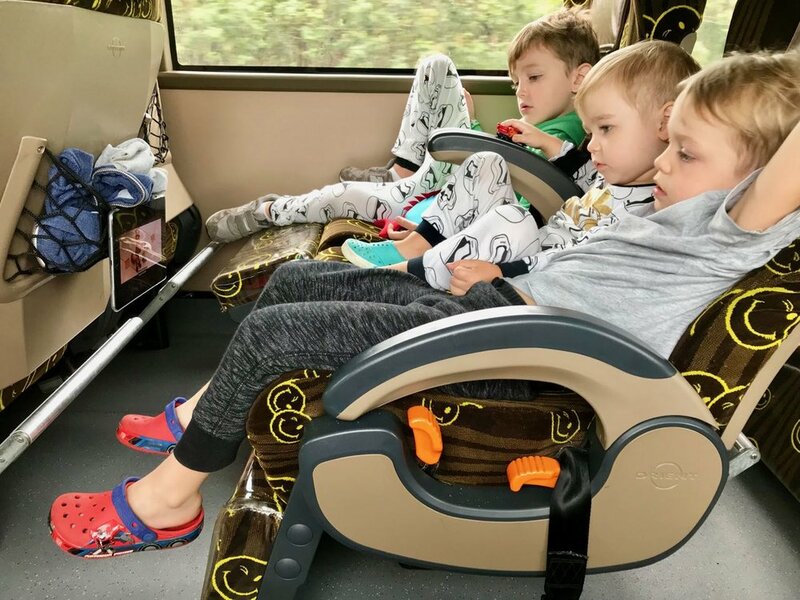 My children are 2,4,7 years old and I was traveling alone with them and still would have enjoyed more time! Watch this informational video about how Lego was created before you visit. 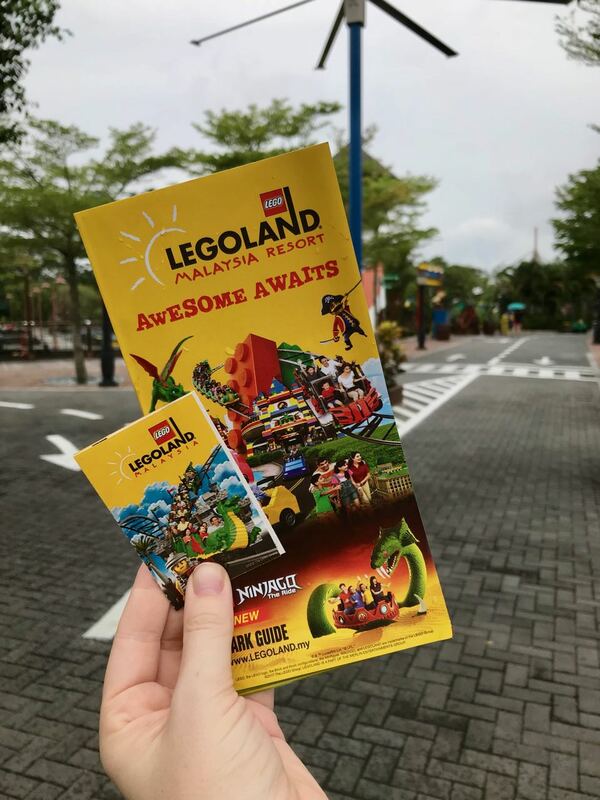 Plan your visit by following these helpful steps Legoland Malaysia website. Tickets can be as low as 39 USD a day! 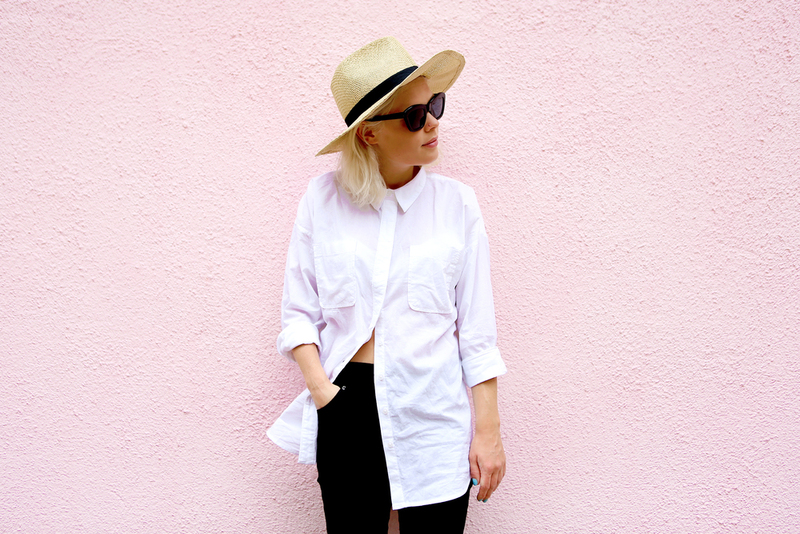 There are always deals, check here. Hours of operation are perfect for a family with young children. Open at 10 am and closed at 6 pm. Outside food is not allowed but there are many options available in the park. You are also permitted to leave and re-enter the park. 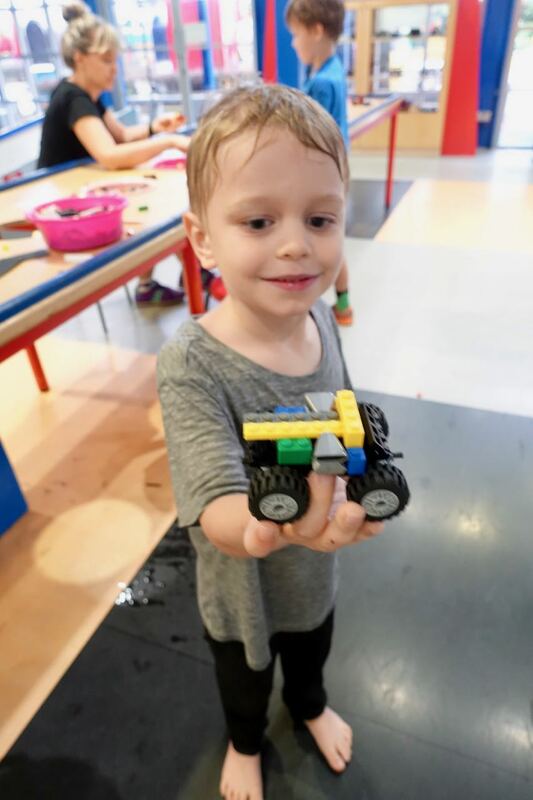 For Transparency: A Momma Abroad partnered with Legoland Malaysia to bring you the ultimate experience and show that you need not travel too far or spend too much money to have a fine theme park experience. All opinions are my own.